Review: Son of A Preacher Man. Nottingham Theatre Royal. – East Midlands Theatre. 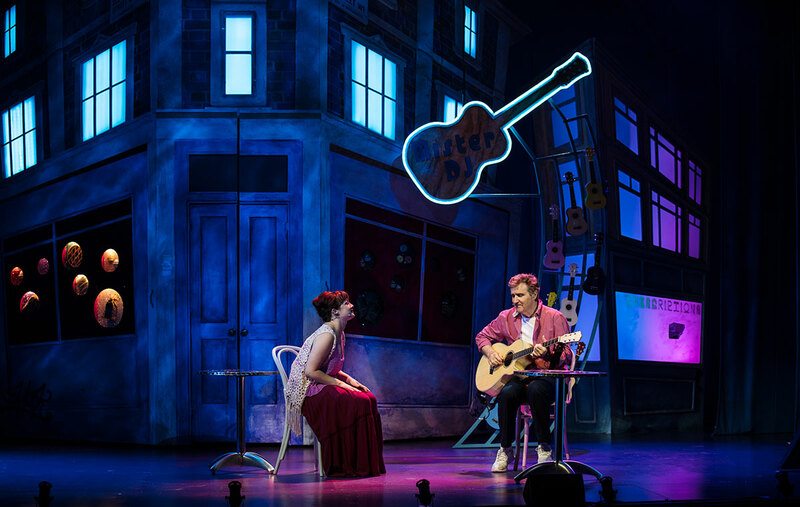 Son of a Preacher Man was Dusty Springfield’s last Top 10 UK hit in 1968 and now, 50 years on, the iconic song has become the title of a new musical play, celebrating her contribution. 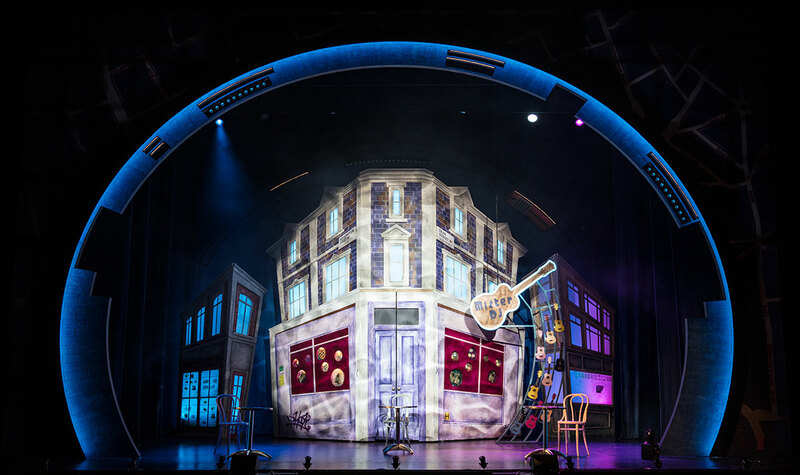 The show presents many of Dusty’s best-known songs in new arrangements which thread through an original storyline by internationally renowned writer Warner Brown. 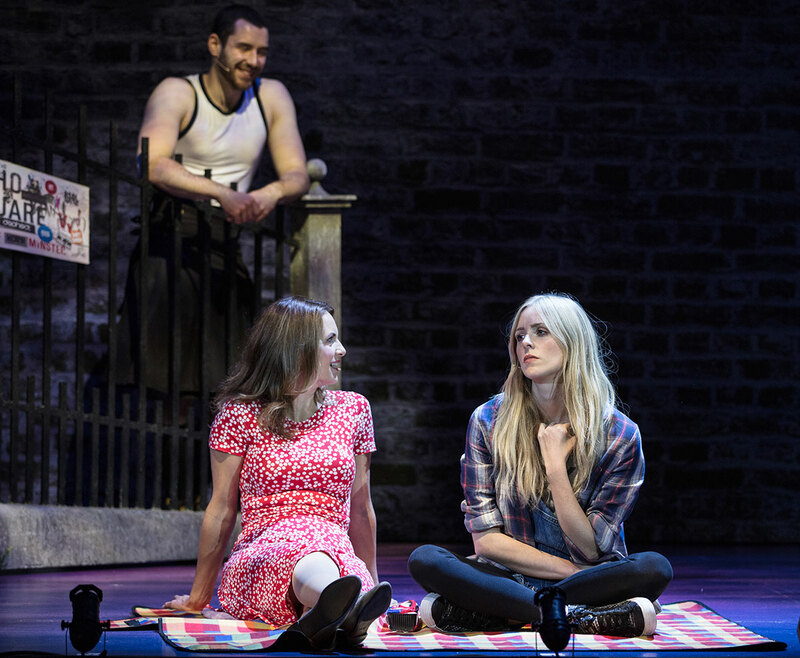 Three characters across the generations , Alison (Debra Stephenson), Kat (Alice Barlow) and Paul (Michael Howe), all looking for love, are drawn to the original site of the legendary ‘Preacher Man’ café, where in the 1960s the ‘kids’ danced to the latest tunes and the eponymous owner dispensed advice to lonely hearts. It is now run as a café by the Son of the ‘Preacher Man’, Simon, who becomes the modern day equivalent of cupid to his customers. We follow these three main characters on their emotional journey, and empathy is created through some accomplished acting. Howe in particular, gives a nuanced performance, creating a three dimensional Paul, which could otherwise easily become a stereotype. Stephenson is charming and convincing as Alison, a sort of ‘everywoman’ who is widowed and feeling lost. And Barlow, as the young Kat, gives an energetic and powerful vocal performance. Nigel Richards plays Simon with skill, and brings humour and warmth to the show. His singing voice is wonderfully warm and this reviewer would like to hear more of it! The sound of the ‘60s is conjured up on-stage in Preacher by an astonishing array of actor-musician talent. Virtually everyone at some point plays an instrument, as well as singing, acting, dancing – creating quadruple threats! It is a joy to see saxophone, trombone, cello etc. all on-stage and part of the musical celebration – skills so often hidden in the orchestra pit and rather taken for granted. The vocal harmonies of the cast are excellent, in particular the three Cappuccino Sisters, who act as waitresses come Greek chorus to all the goings on in the café. Many of the alternative arrangements bring new life to old songs. ‘I Just Don’t Know What to Do with Myself’ becomes a hymn to grief, sung by those who have recently lost a loved one. 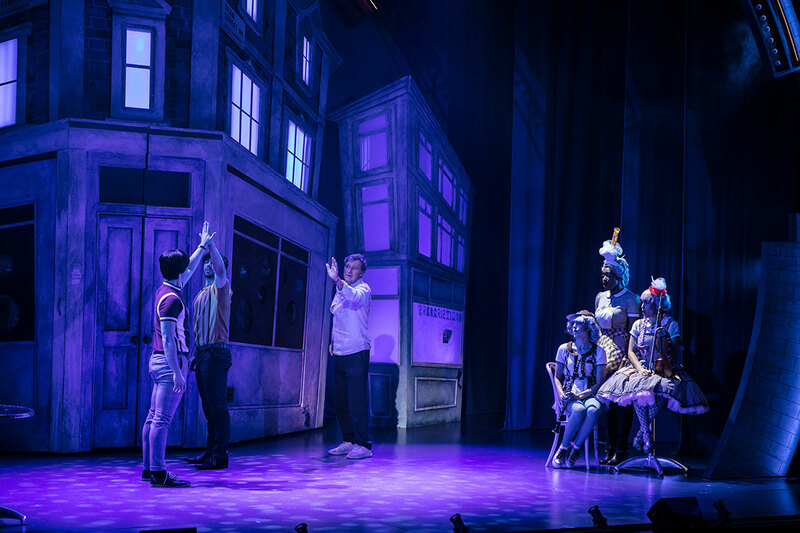 A real highlight is ‘Spooky’, with Howe playing a decent guitar riff and dueting with the rich vocals of Ellie-Jane Goddard (and later playing saxophone) creating a stand out number in the show – it starts simple and then builds to include the whole band. In any compilation show such as this, there must be a degree of making the songs and stories fit together in a way that is not necessary when a musical is written from scratch. The ‘fit’ here is occasionally awkward, as is the direction: it’s never comfortable to see someone singing whilst lying down and an up-beat number, which deserves a good dance routine is presented with a slo-mo effect. And finally, there are a few moments which even feminists from the 1960s would have balked at, nevermind with today’s viewpoint. It is a huge challenge to re-visit the music of such an iconic singer as Dusty Springfield. After all, it was the very uniqueness of her voice, with a “haunting vulnerability”, which made her stand out in the 1960s and has made her such a musical legend. Do you attempt to re-create the voice and have the traditionalists shake their heads? Or reminisce and celebrate her contribution by creating an ‘homage’ to it? There will be Dusty die-hards who will be disappointed not to hear closer covers of her most famous songs here, and certainly some of the real classics could have been presented more purely. But there is plenty here which gives a potent reminder of the explosion of music that occurred in the 60s, from rock and roll to r’n’b and more lyrical folk tunes – and celebrates Dusty’s contribution through songs which have stood the test of time. Theatre Royal Nottingham. A Linha Curva. Ballet Rambert. Promotion.